A Navy commander took notice when a classmate showed up at an Alhambra High School reunion in Martinez, Calif., in a Marine uniform and medals. The problem: The man wasn't authorized to wear the medals and never served in the military. Federal prosecutors said 39-year-old Steven Burton was photographed wearing the Navy Cross along with the Bronze Star, the Purple Heart and other medals. Burton was never in the military, according to investigators. The U.S. attorney's office said Wednesday that the Navy commander -- Colleen Solanga -- noticed Burton's attire at the reunion and asked Burton whether she could take a photograph with him. She passed the image along to the FBI. The Navy Cross is presented for "extreme gallantry and risk of life, beyond the call of duty, performed in combat with an enemy force," according to a prosecutor's statement. Authorities said Burton claimed in Internet postings that he served in Afghanistan and Iraq. Prosecutors said he also posted a picture of himself at Coronado Island. 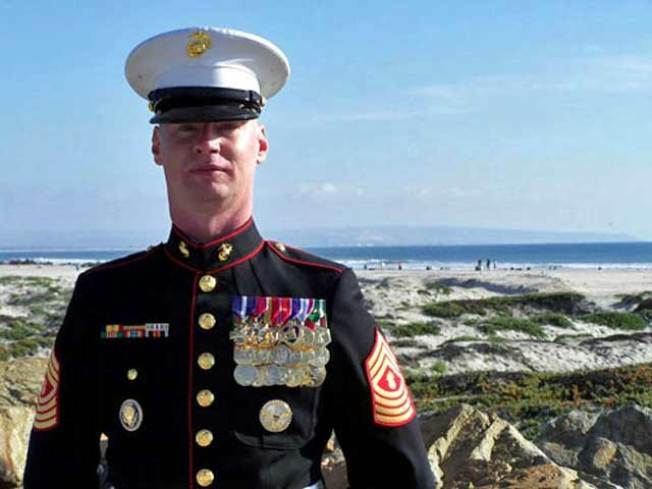 In the picture, he is wearing a Marine uniform with medals, including the Navy Cross, the Legion of Merit, the Navy and Marine Corps medal, the Bronze Star and the Purple Heart, authorities said. He is expected to surrender Thursday to face a charge of unauthorized wearing of military medals. He could face up to a year in federal prison if convicted. Burton pleaded not guilty to the misdemeanor charge Thursday in Riverside federal court. He was released on $10,000 bond and ordered to return for a Dec. 21 hearing. Authorities did not say how Burton got the medals.